Established local jeweller’s Laing, got in contact with us at Transform to re-design their Southampton store for the French luxury jeweller and watch manufacturer, Cartier. They were looking for a sleek, design that emphasised their brand identity and beautiful merchandise. In under 2 hours we had completely transformed the store. 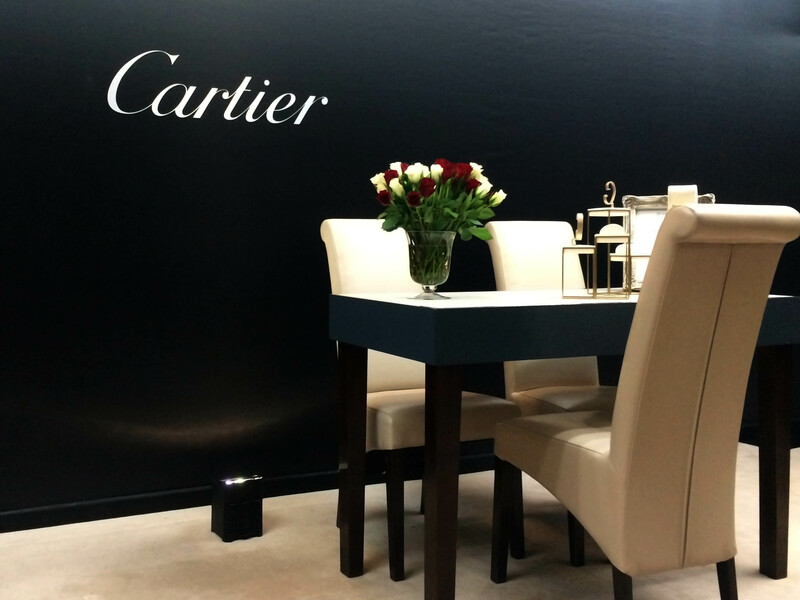 We used taut black satin to set the scene and showcase Cartier’s logo, which was a little more complicated than it looks! We put our thinking caps on and hunted the market for a material that we could print their logo onto and which maintained the sleek finish we wanted to convey. What do Corporate Event Planners Want From a Venue?